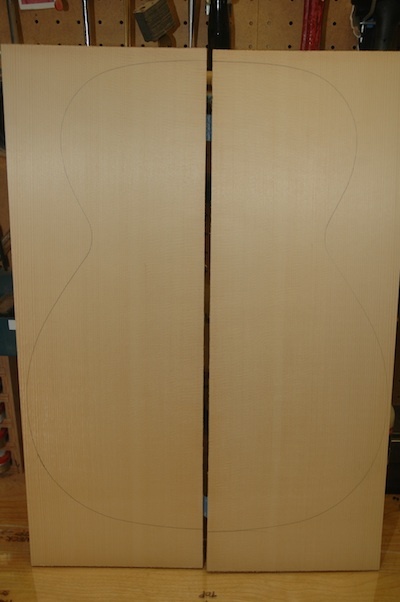 Miscellaneous work today on three guitars. 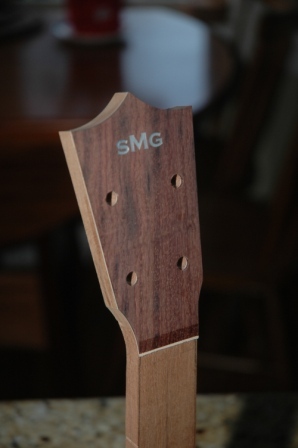 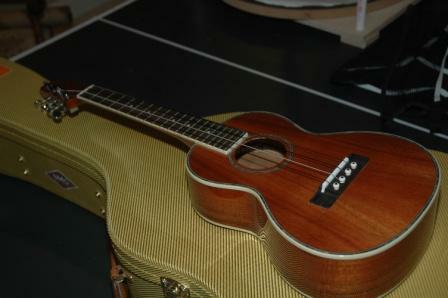 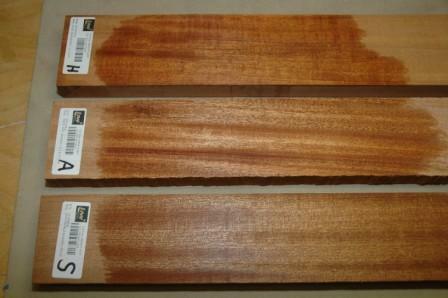 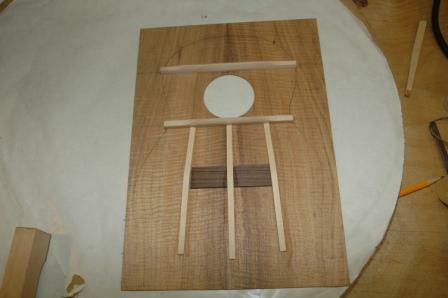 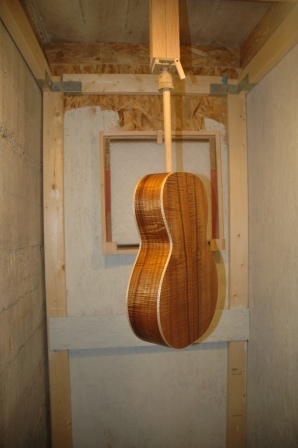 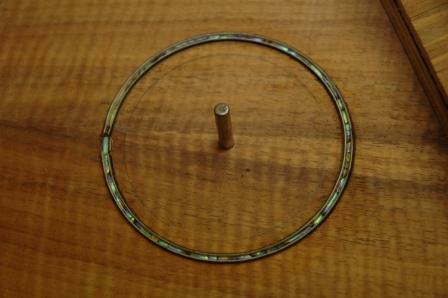 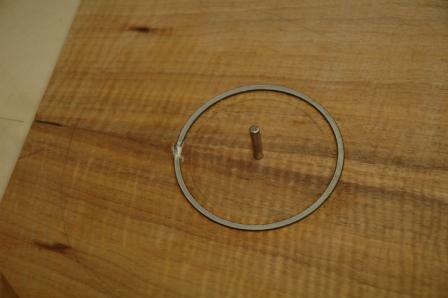 Located Engleman Spruce top for the Rosewood OM. 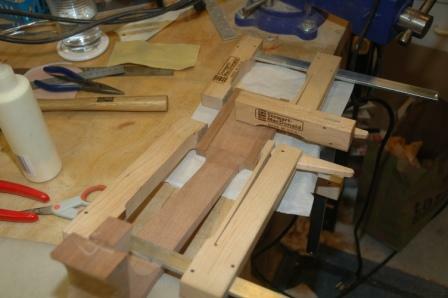 Finished blocking in two necks; final step stacked heels. 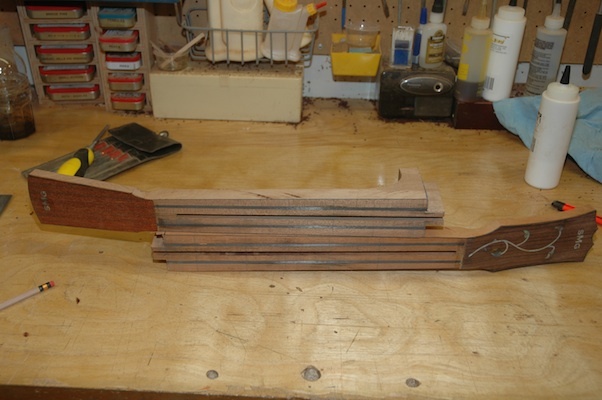 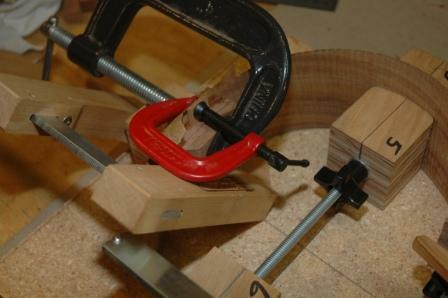 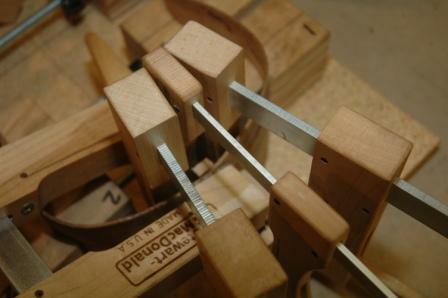 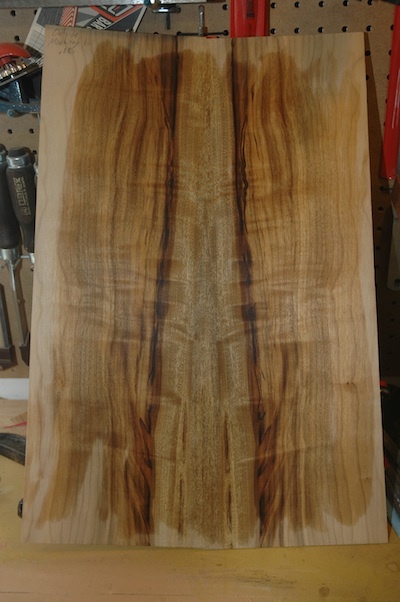 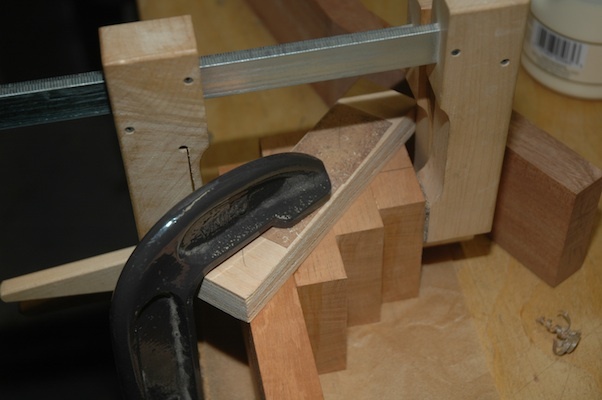 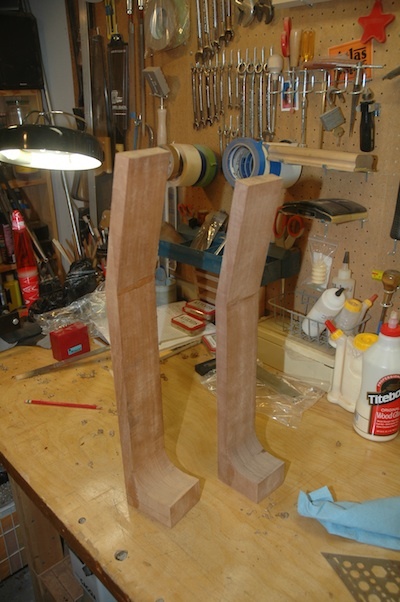 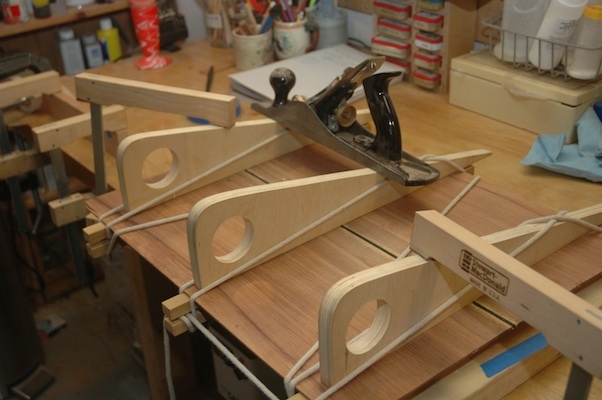 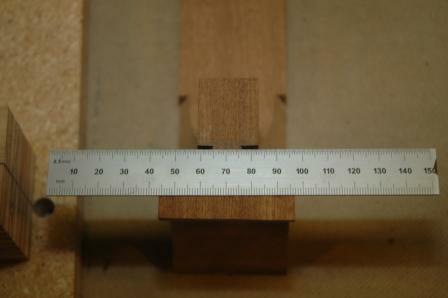 After clamping and drying, the neck heel curve was cut using the bandsaw, then rounded with the spindle sander. 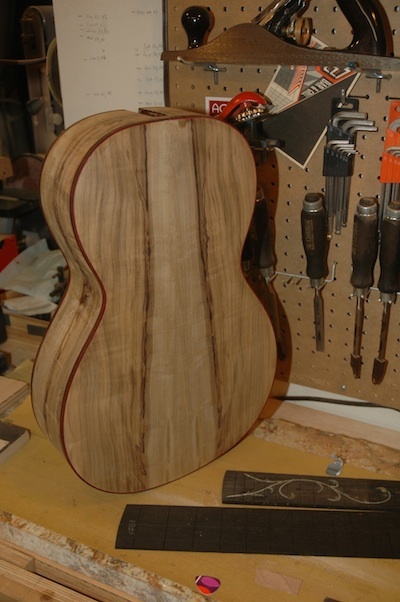 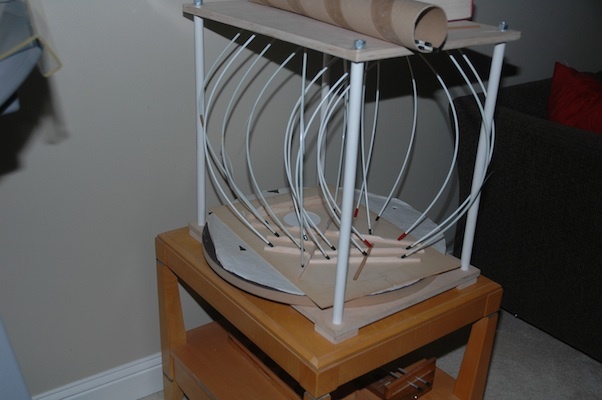 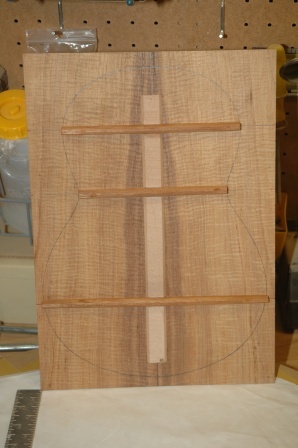 The double cutaway parlor for Em has walnut back and sides. 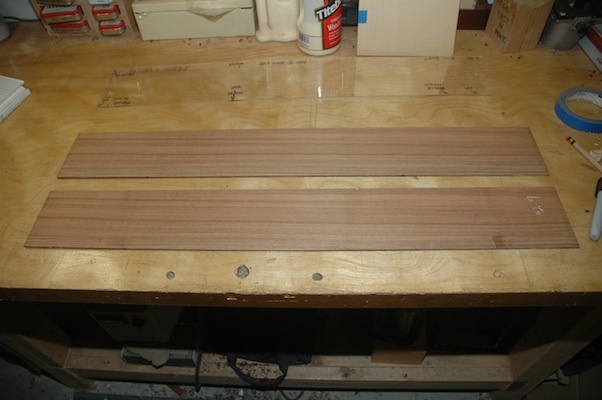 The sides are prepped for thickness sanding. 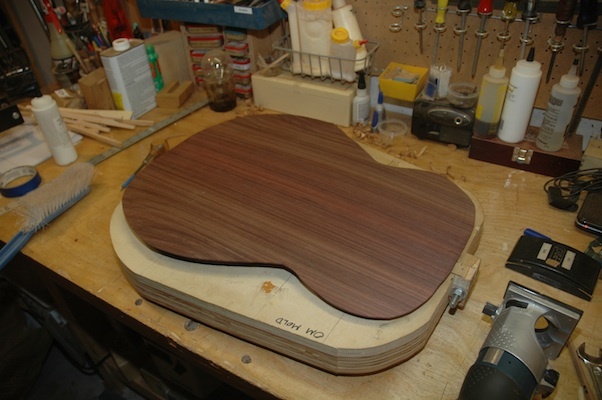 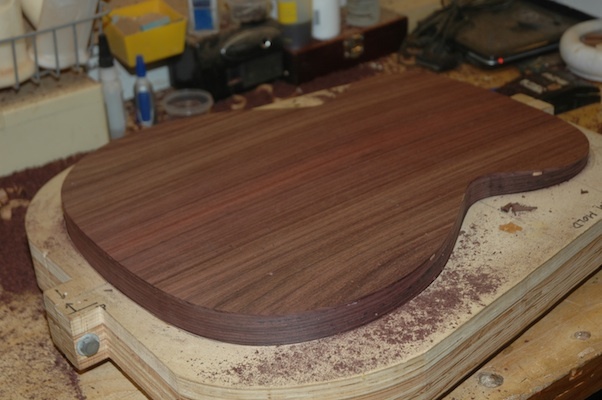 Over the past two days, the headplate with a contrasting maple veneer was installed and trimmed. 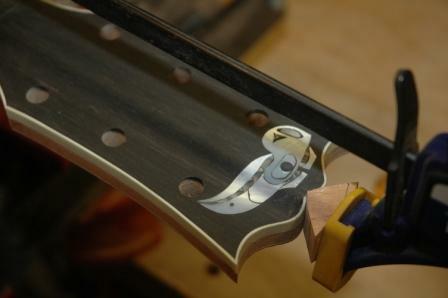 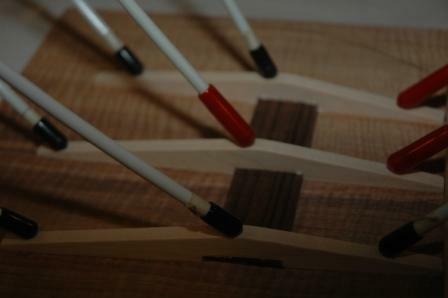 Tuning machine holes were also drilled.